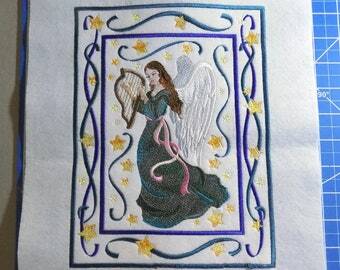 This embroidered tapestry is a lovely piece of art for your home or office. 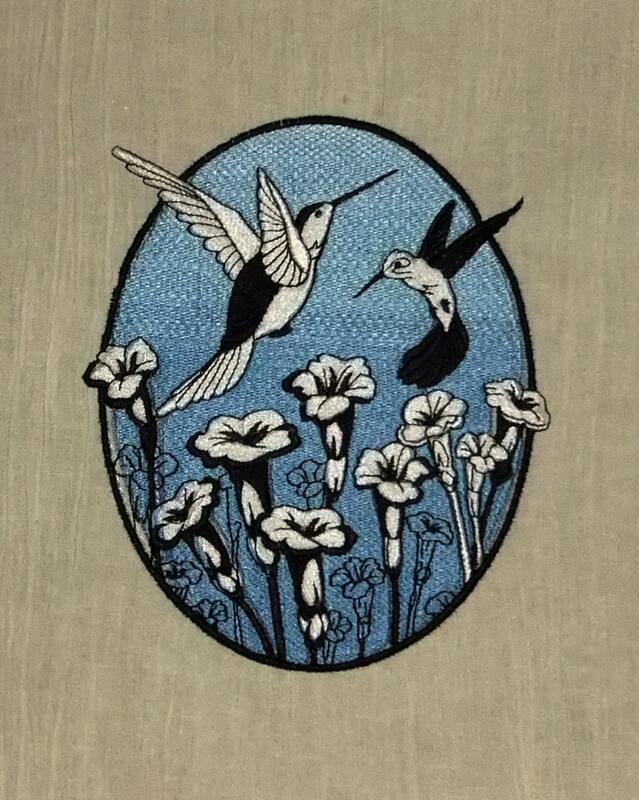 Understated, and yet strikingly presented, hummingbirds hover and flit above spring flowers in this pretty oval scene. There are 78,460 stitches in just five threads. The stitched design measures about 6" across x 7" tall. 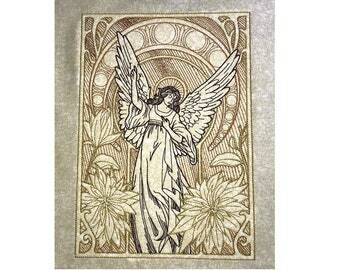 The design is roughly centered on an 18* x 20* sheet of off-white crinkle cotton. There's plenty of room for framing and matting and there's even enough to turn it into a pillow topper or it could be used for a purse facing, or any number of creative things! Customization: Like this design but not the colors? I can make it for you in your choice of colors on the fabric color of your choice! I can also put it on a drawstring bag or a zipper purse, a tablet case or a laptop case -- I can even put it on a patch for you! I will coordinate colors and styles to your preference so that your tapestry -- or whatever you decide upon! -- will bring you many years of peaceful enjoyment and visual beauty.